The most important parts of a hike happen long before you reach the trailhead. Proper preparation can make the difference between a once in a lifetime trek and days of misery. One of the best ways to make sure your trip is the former is to get in shape before you go. Training for a long distance fastpacking trek (I’ll go into detail about the difference between fastpacking and hiking in a later post – for now, all you need to know is that it is like traditional hiking but faster, farther, and lighter) is different than training for most other types of activities. Typically, a training regimen builds progressively until your final training sessions put you through nearly the same demands as those you’ll face on the day of the event. That approach is impossible for a fastpacker. 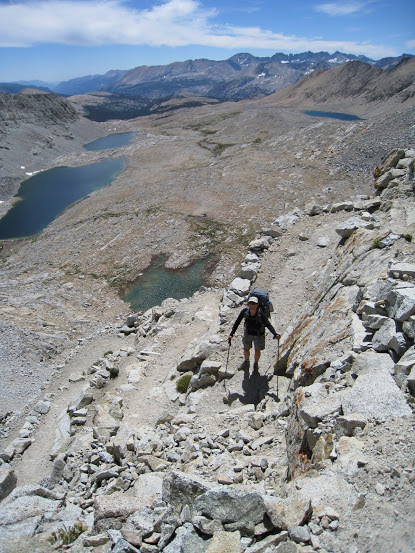 My first hike, for example, is the John Muir Trail in California’s Sierra Nevada mountains. I’m planning to complete the 222 miles from Yosemite to Mt. Whitney in 8 days, or nearly 30 miles per day. The hike will also include almost 90,000 gross feet elevation of change and altitudes as high as 14,500 feet. Good luck replicating that. While no training schedule can replicate those conditions, that doesn’t mean that adequate preparation is impossible. My fitness program for the JMT is below. In designing this program, I focused on the different challenges I’ll face on the trail: endurance, cardiovascular fitness, climbing ability, and hiking under weight. 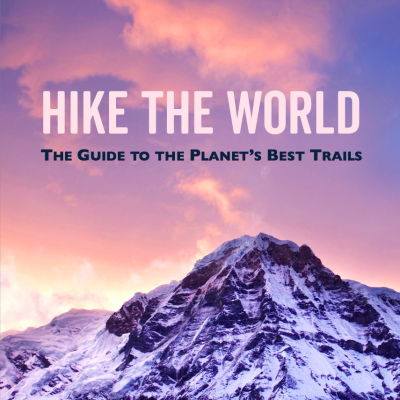 This program peaks a week before the hike with consecutive 30+ mile day hikes. These hikes will be at max trail weight (24lbs) and will cover at least 13,000 ft of gross altitude change each day. Fortunately, Santa Barbara County has plenty of mountain trails that make that kind of elevation change possible. If you don’t have that luxury, you may need to get creative. One trick I used when I lived in DC was to climb the stairwell of my condo building. You don’t have to walk the stairs of a 10-story building too many times before you’ve covered some serious elevation. A few important points about my training program. First, my baseline fitness levels were pretty low as a result of a broken collar bone. Whatever your state of fitness, give yourself enough time to adequately get in shape for your hike. Second, my health issues also meant that my schedule was up in the air. This is the program I put together in December; I kept to this schedule fairly well but had to modify it as my trail dates got pushed back to accommodate my healing process. Third, the cardio effects of high altitude are the most difficult aspect of a high-altitude hike to prepare for, especially if you don’t live at altitude (or have your own hyperbaric chamber). Since I live at sea level, I’ve compensated by incorporating more short and intense workouts aimed at improving my cardiovascular fitness. Which way to the escalator? Back-to-back 30+ mile hikes at max weight (22 lbs) with at least 13,000 feet of elevation change per day. Eat as much as I can shove in my face. My goal is to gain 5-8 pounds before I set foot on the trail. Rest, except for two short 5 mile hikes just to stretch my legs.